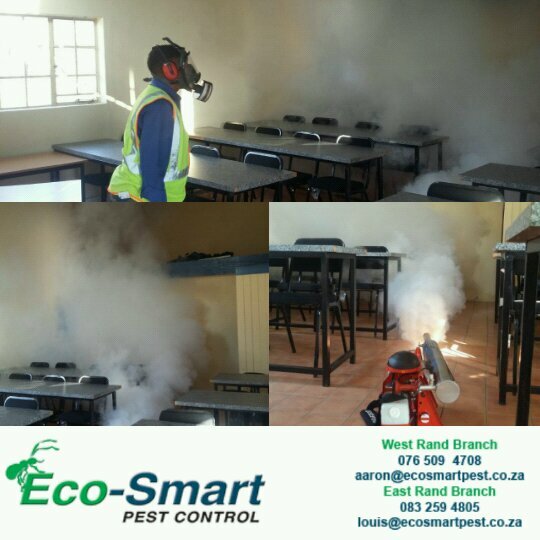 Eco-Smart Pest Control and Hygiene is all about the environment and the society we live, play and work in. We are a Pest Control company focused on Going Green the Eco-Friendlier way with the desire to SERVE our clients and the environment. We control and/or exterminate all pests and ensure they do not come back. We offer pest control for the following insects: ants, bed bugs, roof rats, Norway rats, mice, crickets, fleas, hornets, wasps, bees, cockroaches, fish moths (Silverfish), carpenter bees, flies, mosquitoes, rodents, bird lice and many other pests. We do weed control (soil treatment), especially for the construction industry and not forgetting your domestic residence as well. 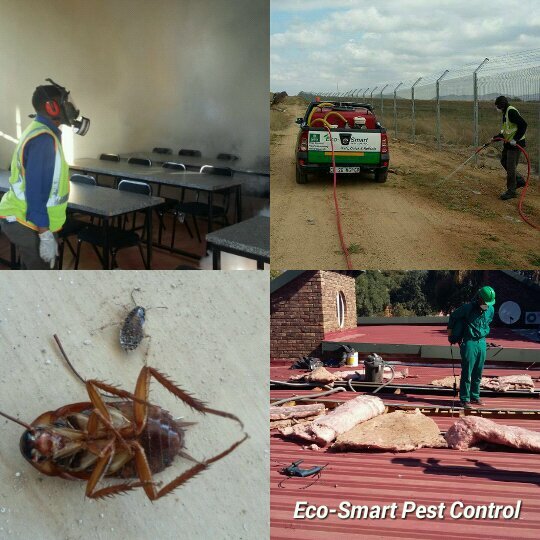 Eco-Smart Pest Control also provides roof vacuuming, where we clean your ceiling by removing any debris, building rubble and old insulation and treat for rodents and crawling insects (like bird lice). If required, we also install new insulation; the product we use is environmentally friendly (being made from recycled material) and safe. Eco-Smart offers professional, convenient solutions to get rid of your Ant problems fast. Once cockroaches make themselves at home in a house, it can be very difficult to kick them out. Serve these pests an eviction notice and keep them from coming back. Rats and mice cause a massive loss of food worldwide. Besides eating our food, rodents spoil it by contamination with their feces, urine, or fur. Successful termite control often requires specific knowledge of termite behavior and treatment techniques. Call us now, our quotes are free! Why you should vacuum your ceiling? It reduces the risk of allergies such as asthma, hay fever and skin irritations. Bed bugs are challenging pests to get rid of, since they hide so well and reproduce so quickly. We provide green solutions to your Pest Infestations, Tree Care and Lawn Care needs. The green protection is a system to utilize only the highest quality of environmentally friendly methods and materials through our Eco-smart elimination. ← How to get rid of Weeds?